A Learning Cross-Sector for wedding creatives to EVOLVE beyond the surface of the wedding industry as entrepreneurs. What will your wedding business look like within the next 5 years? Get the insight that you need in order for your wedding business to EVOLVE . 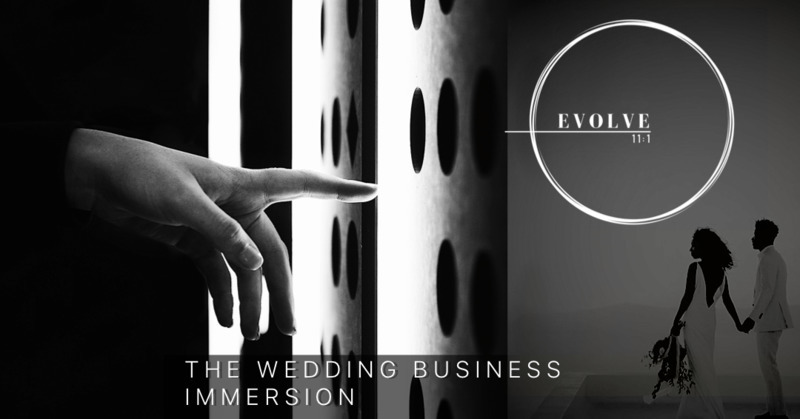 A 2 Day Wedding Business Immersion for professional wedding creatives ready to focus on their entrepreneurial journey and grow within the wedding industry. No more chasing after shiny "trendy" objects that don't fit your business model. EVOLVE 11:1 will teach you the steps to unleash the results required to scale your business. It's time to discover and identify what works for your business. Not someone elses. What will your wedding business look like in 5 Years? Success! Looks Like You're Just About Ready Now check your email to confirm your subscription. © Copyright 2019 Adrianne Harris Blessed Events NY. All rights reserved.